Auther Clyde Blaylock was born on Dec. 4, 1933. He passed into the loving arms of his Lord and Savior, Jesus Christ on March 20, 2019. Auther was a beloved husband, father, grandfather, great-grandfather, and friend to many. He was a wonderful example of love, joy, peace, patience, kindness, goodness, faithfulness, and gentleness. He made an impact on the lives of everyone that ever crossed his path. 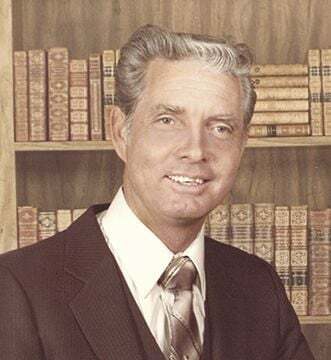 He is survived by his wife of 60 years, Joyce, his four children Cobby (Vicki), Becky Breaux, Sonya Compton (Bobby), and Aubrey (Patti), his sister, Shirley Youngblood, and many grandchildren and great-grandchildren. Visitation for family and friends will be held from 6 p.m. to 8 p.m. on Wednesday, March 27, at Wayne Boze Funeral Home. A service to celebrate Auther’s life will be held at 10 a.m. Thursday, March 28, at Covenant Life Church, in Waxahachie. Interment is at DFW National Cemetery following the service.